10 healthy peanut butter dessert recipes | Refined sugar free, gluten free grain free. 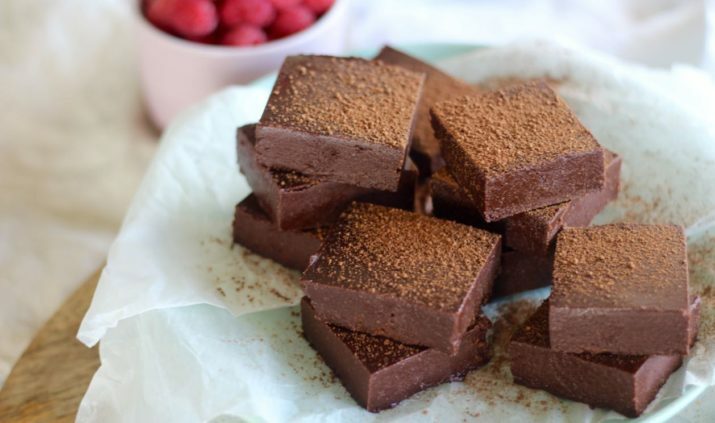 10 healthy peanut butter dessert recipes. 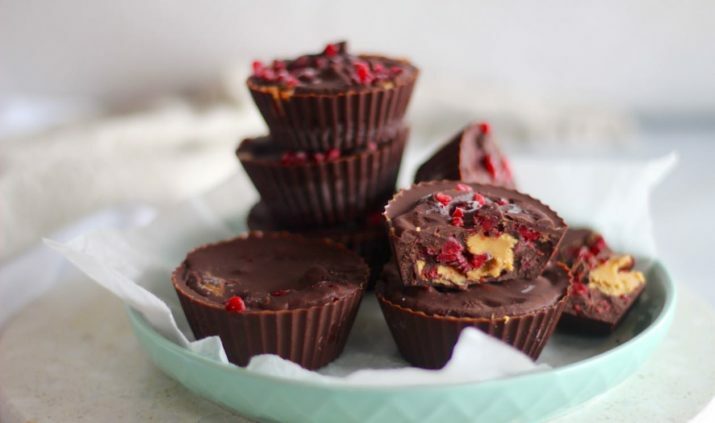 These healthy peanut butter dessert recipes are all kinds of delish! And apparently peanut butter is officially on the OKAY list in the primal world. Yeh Mark Sisson says! Clearly, we knew this without all the scientific research (haha) becuase we have about a million healthy peanut butter dessert recipes. 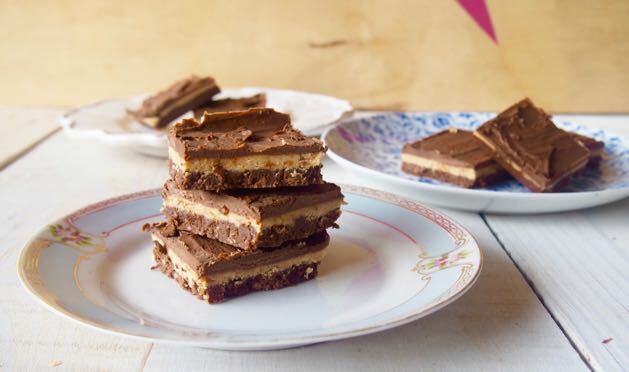 We’ve done an epic round up of all our fave recipes. Get ready for deliciousness! 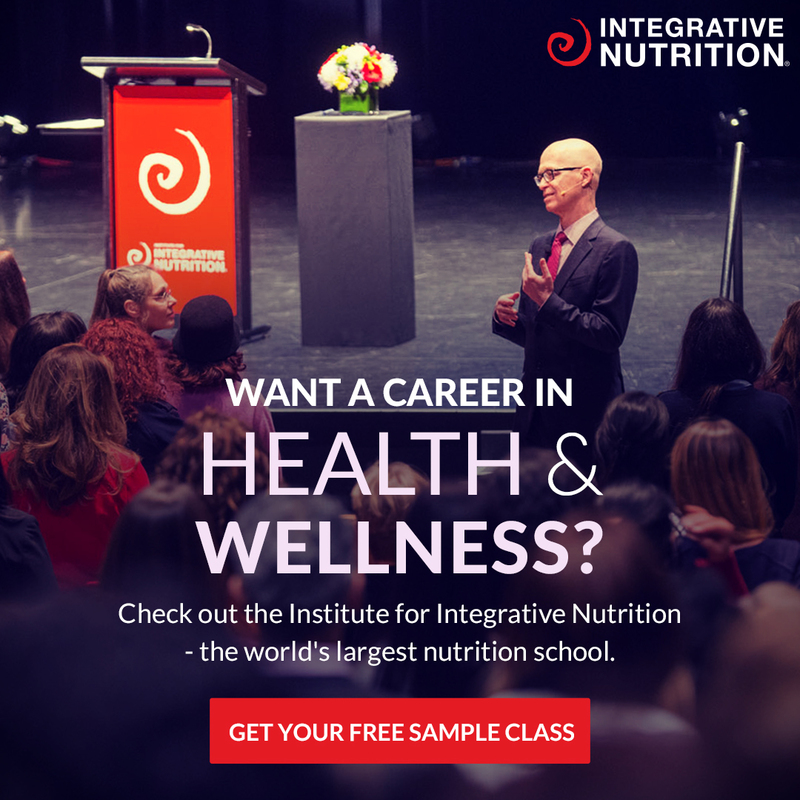 “The lectins and phytic acid we worry about, it turns out, are mostly deactivated by heat and proper preparation. A bit of phytic acid can even be a good thing, provided you have the gut bacteria necessary to convert it into beneficial micronutrients. All in all, legumes turn out to be a relatively nutrient-dense source of resistant starch and other prebiotic fibers. If you can swing the carbs and you feel fine eating them, legumes are on the table. If you need more info before you get a jar of PB and a spoon checkout this Mark’s Daily Apple article. If you don’t need any more info and you just need healthy peanut butter dessert recipes keep on reading. Far out these are actually so delish! Plus it’s one of those whack everything in a blender and freeze recipes. So easy, so good. The recipe is on the app plus the blog over here. This recipe is perfect to make on the weekend and enjoy through the week for snacks and desserts! Such an easy peasy recipe, it’s a special exclusive app only recipe. Open the sweet treat section or download the app here. This recipe wins because peanut butter and chocolate is the most mind-blowing food combo. 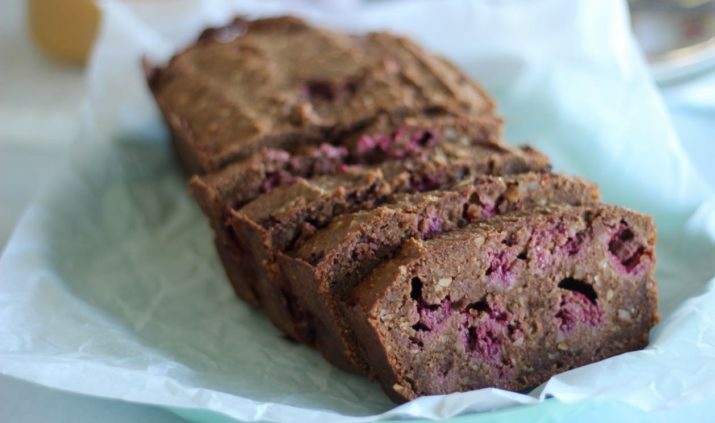 Then raspberry and chocolate are an equally as mind-blowing food combo. Grab the recipe here. 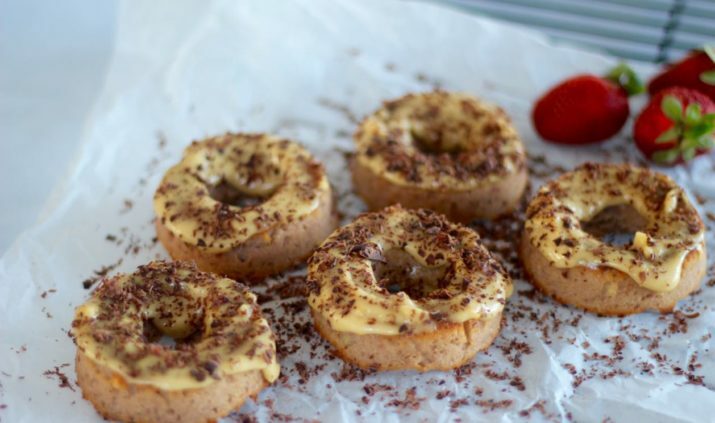 We made low carb strawberry donuts with peanut butter frosting. And yes… they are all kinds of magical. This recipe has got to be one of our all time favourites. The best bit is that if you don’t own a donut tray you can turn them into cupcakes. We’ve tested both cupcake and donut versions and can confirm they are equally as delish (haha). The test had to be done… right? Grab the recipe here. 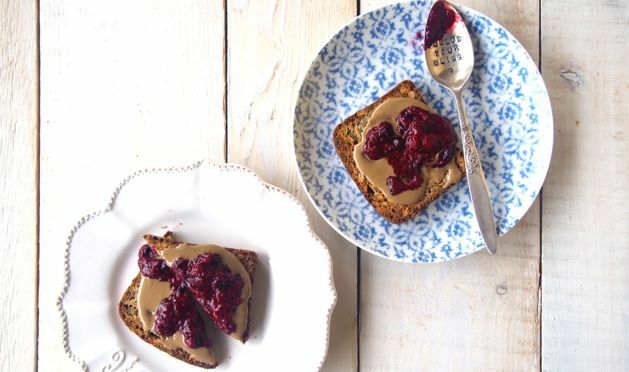 Such a fun idea for brekky, lunch, dinny or dessert really haha! Grab the recipe here. The name says it all… peanut butter split smoothie. Your taste buds are about to get very happy. And this might be our all time favourite smoothie in the whole entire world! Not even close to exaggerating. Grab the recipe on the app or on the blog over here! Far out this peanut butter cheesecake is all kinds of amazing. 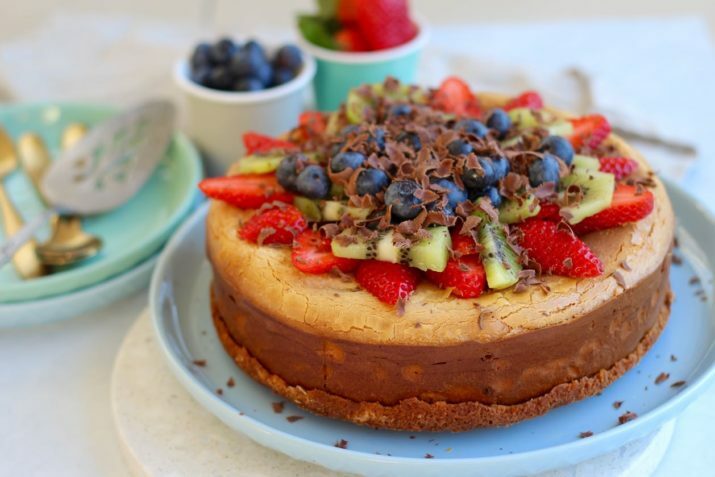 It’s gluten free, sugar-free, grain free but it’s got a whole heap of dairy because this healthy cheesecake is actually a real life cheesecake. Grab it on the app and on the blog! 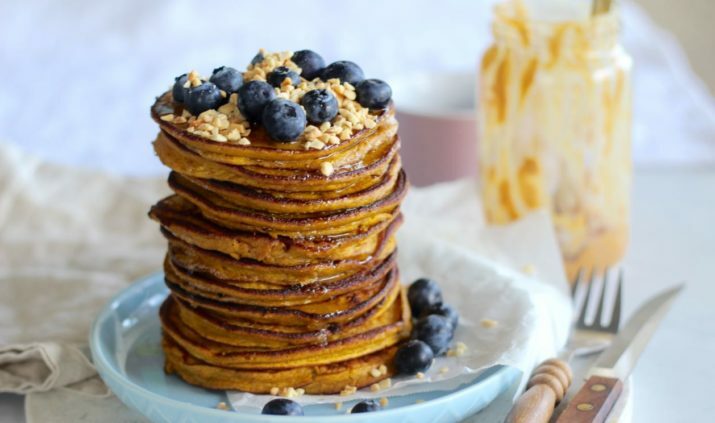 These low carb peanut butter pumpkin spice pancakes are all kinds of magical delicious. They’re gluten free, grain free, refined sugar-free and dairy free! Boom! 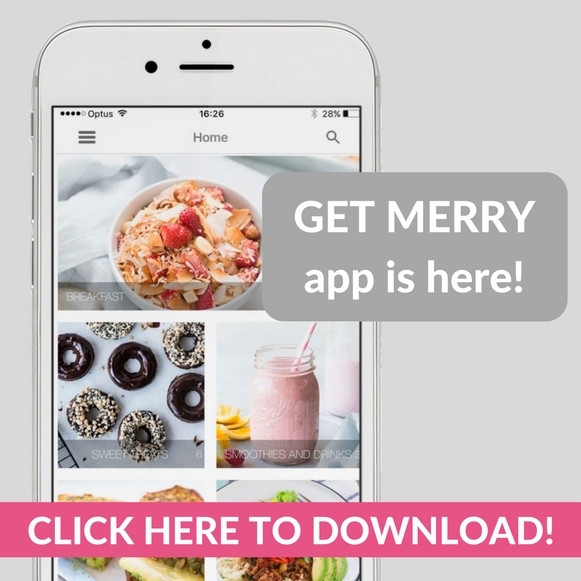 This recipe is a Get Merry app only recipe. If you already have the app downloaded on your phone, you can find it in the breakfast section. Yum, go get cooking! 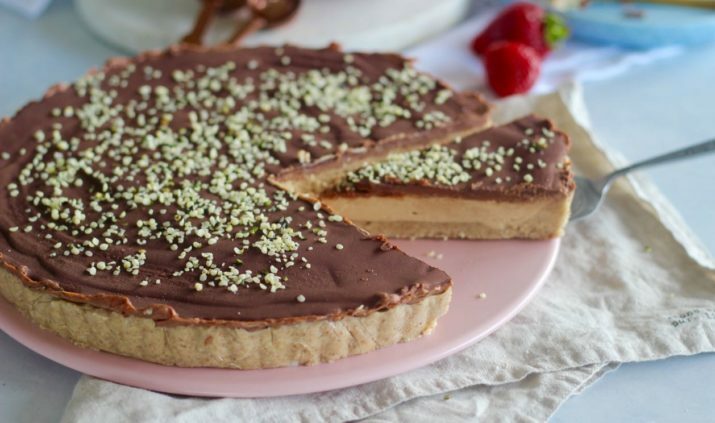 YEP, we made a raw hemp peanut butter tart and it’s all kinds of tasty. We were googling hemp and trying to figure out if you could bake with it because we found all these amazing recipes for like savoury muffins and crackers… turns out heating it does ruin some of the nutritional benefits so we’re opting to use it raw. Like in a tart. Like in a really really yummy tart. The recipe is on the app and also on the blog here. P.s Don’t forget to check out all the chocolate app bundle recipes! And download the app HERE!